A very good friend of mine owned it and he took great care of it. The R7 is awesome, Iconic Motorbikes has one right now. 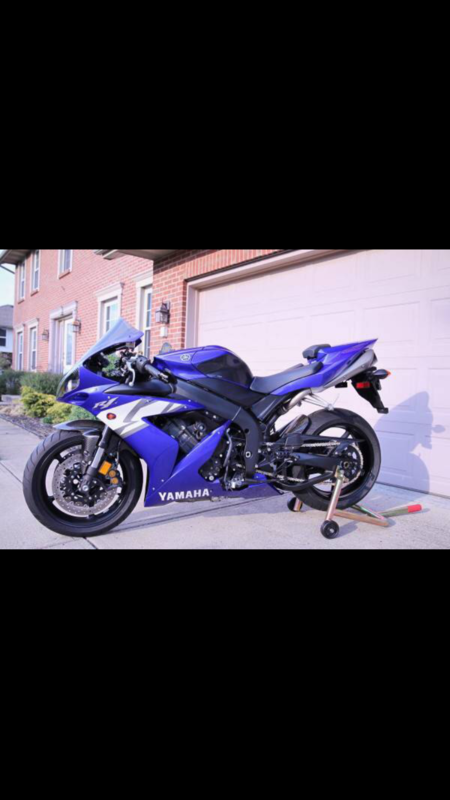 They deal with classic sportbikes, imma a huge fan of there stuff. I do love the R1 over the ZX7R for sure, I actually bought this bike to take to an advanced riders course but that is post poned. Beautiful man, still have it? Hey I’m now curious as to why you picked up a zx7 for the advanced riders course when you have the R1 and a gsxr 750 both of which I’d prefer for a advanced course myself. Just curious?? 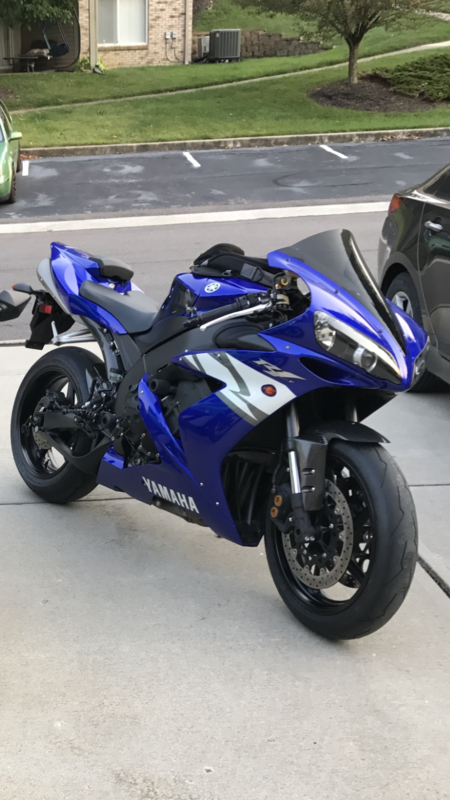 Yamaha R6 I daily drive it. Those first 3 are all bikes i drooled over and loved when they came out, now im older and i enjoy them and treat them like queens. I dont really care for Kawasaki and the ZX7R if i wrecked it it wouldnt be the end of the world for me. Ive actually never wrecked but I also dont want to beat on or damage something i have sentimental value towards or dreamed about. Hope that makes sense. It was worth me turning my screen upside down to see, thanks for sharing man it looks like it is in great shape. I see now it makes more sense, the R1 is my passion and always has been since 1998 when they first came out. Before that the zx7 was my love and I had a 94 and a 96 model zx7. My current 04 R1 is my absolute favorite bike I’ve ever owned. Found it a year or so ago absolutely mint with 715 miles on it. 4,500 miles on it now and I love it. That's awesome man. How come you had to change ECU so many times though? When you swap them out will it start right away or does it need to be flashed at that point? 715 miles? wow man that's crazy. Got any pictures? How come the previous owner didn't put any miles on it? Yeah I had a 2010 and a 1999 before this and you are right the headlights do have alot more real estate then other years. The first Ecu lasted about a 100k . Spark and timing would start to scatter when it would get hot. It was difficult to diagnose as well. I’m not sure if they ever flashed the old bikes. Just put it in and fires right up. I think the real question would be how many sport bikes even hit a 100k before they’re destroyed from other things? Well the guy selling it actually had 3 for sale and all 3 were his bikes he bought brand new. A 98 R1,04 R1 and a Ducati. The 98 R1 was his daily I guess you would call it with 3,500 miles on it the 04 (mine) had 715 and the Ducati had 66 miles on it. I guess he just liked taking care of them more than anything. Here’s a pic of mine when it was for sale and one of it now. That's awesome, I laughed when you said it was his daily driver with 3500 miles.... hahaha. The bike looks incredible, would love to find a low mileage older bike like that in a future. I can understand enjoying taking care of them more then enjoying riding them. You will see in my signature I have more then one person could ever drive and enjoy but i enjoy them all in different ways. Some of those ways are just maintaining them appearance and mechanically. It’ll be interesting to me to see if Yammie can go the distance. In 2000 I bought my first one. It was a great bike and I put 8k in the first 8 months, but it got stolen.